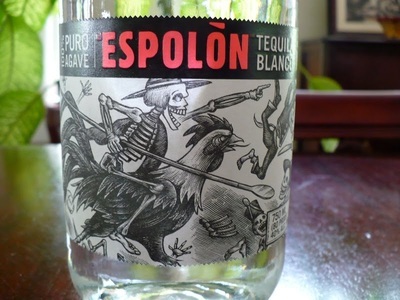 Espolón, a tequila brand from the Jalisco Highlands, is making waves amongst tequila connoisseurs from New York to California. Packaged with wild, "Dance of the Dead" inspired imagery, these 100% agave tequilas are offered in both blanco and reposado expressions and lay claim to a longer agave roasting process and a longer distilling time than other manufacturers. Both “Gold Medal” and “Best Spirit” award winners, these tequilas are worthy of a try and are sure to become a favorite of the tequila enthusiast, as well as the connoisseur. Master distiller, Cirilo Oropeza has an unbridled spirit, an obsession with producing a world-class product and decades of expertise ensuring he is walking the walk. The results, speak for themselves. 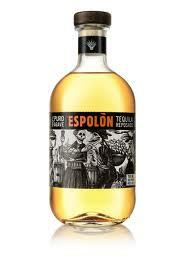 Espolón’s Reposado selection has been aged six months in American white-oak barrels, giving it a careful balance of roasted agave and mild wood flavors. Rounded out with hints of vanilla and butterscotch and characterized by its deep, golden color, it would be a shame to do anything with this masterpiece short of running it over your palette and closing your eyes as the warmth spreads across your chest. 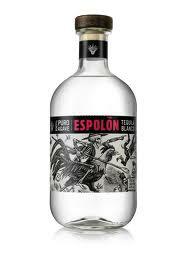 The Espolón Blanco tequila offering delivers an exquisite bouquet that taps the characteristic agave aromas from which the spirit was born. Peppery, with a smooth, silky body, it is filtered before bottling so that the clean, clear taste is conveyed to aficionados who crave the true original taste of the premium agave. Both very mixable, as well as standing strongly on their own, are a solid addition to any liquor cabinet and sure to be enjoyed by all who partake.